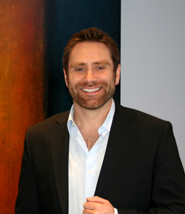 Alex Ford is an accomplished entrepreneur, angel investor and executive. He has led Praetorian Digital, the leading online media company in the public safety and security market, as CEO and President since 2001. Under his direction, Praetorian has launched more than 30 websites, including PoliceOne.com, FireRescue1.com, EMS1.com and CorrectionsOne.com – all the #1 digital media properties in their respective markets – and brought together more than one million first responders to create the world’s largest network for public safety. If you’re interested in startups, where do you fall? Where do you fall? This is right on. If you’re in the middle, this clearly depicts both both the excitement and challenge that comes with being a CEO or entrepreneur. Whether you are in sales yourself or managing a sales team, sometimes it’s easy to get frustrated when customers aren’t lining up at your door saying yes on every call. I use the following quote to remind myself that anyone can take orders but true sales is about overcoming objections and winning a prospect over.